Osun State University is one of those universities that won’t give you headache when registering for their post UTME/DE form. Can’t log in to Start Registration or Complained that I was not among those who chose them as first choice, whereas I did. Let’s look into these one after the other. You entered wrong JAMB registration number. Make sure you recheck your entry and do the right thing. You might have done change of institution to the university. If this is your case, it means your information has not been sent to the university for the ICT to upload to the portal. Therefore, choose OTHERS option instead of first choice. The school will collect your details and update later. This doesn’t affect your admission in any way. In fact, that is what the school recommend. 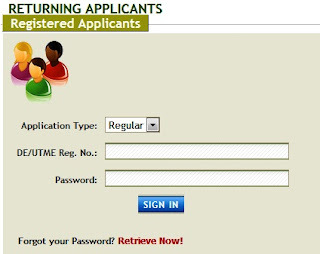 Log out of your portal, give it some hours and return to your registration. It might have reflected by now. If they can’t solve your issues, wait if you bank will credit you back. This deduction can be reversed by the bank. This is not a problem at all. It only means you’re not aware that Osun State University doesn’t conduct post UTME test any longer. After completing your post UTME, the only thing that you will print out is your completed form. There won’t be date for any exams on it. This is because UNIOSUN only does screening but not exams. In other words, the school will offer you admission - based on your SSCE result grades and mark in UTME. That’s all. Note also, that you won’t go to school campus for anything yet. You’re only expected to come to the school after you’ve been given admission and paid your acceptance fee. Just like exams date, there won’t be screening score/result on your completed form. Watch out for update on the screening score right on the school portal. The university will inform you to check your portal for screening score some days before your admission list is out. The score will be the outcome of your O’level grades plus JAMB score. 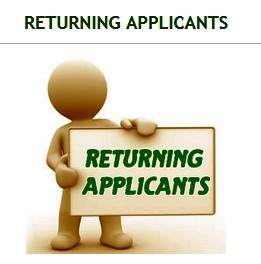 You will need to log in as a returning applicant in order to print your score. Couples of days after your score is out, the school will release their admission list. You’re to log in again to check you admission status. You will be required to pay N2000 in order to know the course given. You can equally check your admission status or follow your admission progress through JAMB CAPS. This can be faster than school’s.